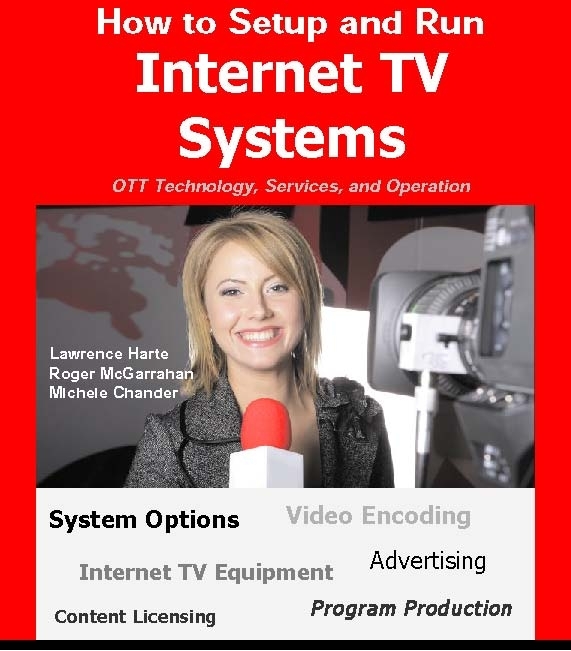 How to Setup and Run Internet TV Systems explains Internet TV Systems Technology and Services, Where to Obtain Program Content and Original Production Options, and Ways to Generate Revenue including Subscription Fees, Advertising Services, and Television Commerce (T-Commerce). Almost any company or person can become a global television company. Internet TV Systems are similar to regular broadcast television systems except they send TV signals through the Internet. This book describes the type of equipment that is needed, the way it operates, and how to run the TV system. You will learn about the economics of television stations including advertising and television commerce (T-commerce). Find out how to identify interesting programs and the content licensing process. Discover how you can use high-value (more ad revenue) targeted advertising that works better than cable TV systems because it can be sent to specific locations and viewers. You’ll learn about operations and billing that you can use to sell subscription and advertising services. Discover effective ways to promote television channels and programs. Samples of Internet TV Systems and Program promotional campaigns are also provided.